It was wonderful to see so many community members support our Spring Fair - it definitely was a 'Fair to Remember'. I'm sure many of our families enjoyed climbing through, and having their photo taken in the Kiowa helicopter. The Army Helicopter School at Oakey were remarkable with the support that they provided to our fair. They also did a fly past on their way to Caloundra just prior to 1000 hours and on their return around 1400 hours. Although I have seen many helicopters up close it was my first time to experience a landing - I shall describe it as windy and loud. I would also like to thank the Australian Army Flying Museum at Oakey for providing the interactive display with artefacts, body armour, uniforms, radios and helmets that the children were able to hold, try on and take photos with. 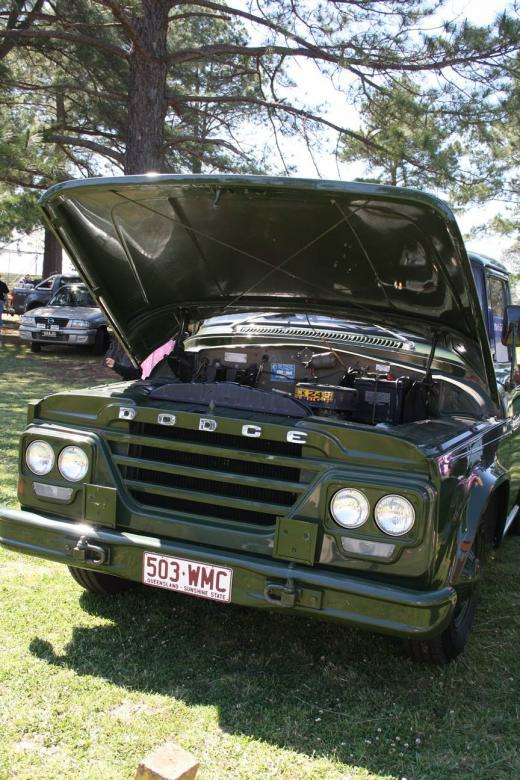 The 1971 original vehicle used by Australian soldiers was also a highlight.